Clearing out your backyard garden beds is a great way to ensure that no organic material ends up making its way into your pool. While this can be done ahead of the winter, springtime bed cleanouts, especially around pools, are a perfectly viable option. Start by removing the dead plant matter from in and around the garden beds. For perennial shrubs and flowers, use a rake to gently pull away dead material on the ground like leaves and limbs. Use a set of clean small pruners to also cut away the old growth wood on larger shrubs and bushes. The flowering sections of these types of perennials often come from new growth so cutting to just above that level enables to the plant to open up and gain access to more sun and air. Once the dead plant material is off of the ground, turn your attention to any trees with considerable overhangs above your pool, for the sake of not having to fish out leaves all of the time. This is always a more complicated task than what it sounds like but a true pruning professional can adeptly cut back up to 1/3rd of your tree, including all dead and crossing limbs, and leave it looking healthy and symmetrical. After everything is cleared out. It is time to start looking at additional plant options to add to your poolside beds. Consider using plants like native tall grasses that do not shed foliage and therefore contaminate your pool. Most importantly, use plants that compliment those already in your yard so that you do not create clashing garden themes throughout. A pool is never complete without its landscaping and carefully planned gardens and garden cleaning schedules will keep it looking beautiful and part of the rich backyard environment that you are trying to achieve. 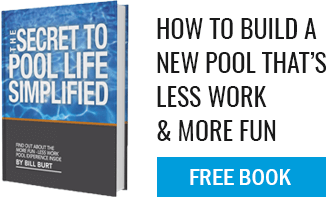 Need a reliable contractor to help maintain and clean landscaping around your pool? Call Aqua to get the name of one of our landscaping contractor friends!